I am riding a bicycle and descending a slope. It is a relatively gentle paved road. There are also several bicycles heading in the same direction. A man wearing a boy over his neck like a scarf. It looks like Echigojishi or Chinese-Acrobat-Team. "There is no choice, there is no choice"
They seem to be parent-child with extreme educational policy. But they look very happy. It may not be necessary to worry as much as it looks. A boy is crying and hands off with a handle. He has no arms? Is the handle a knife? 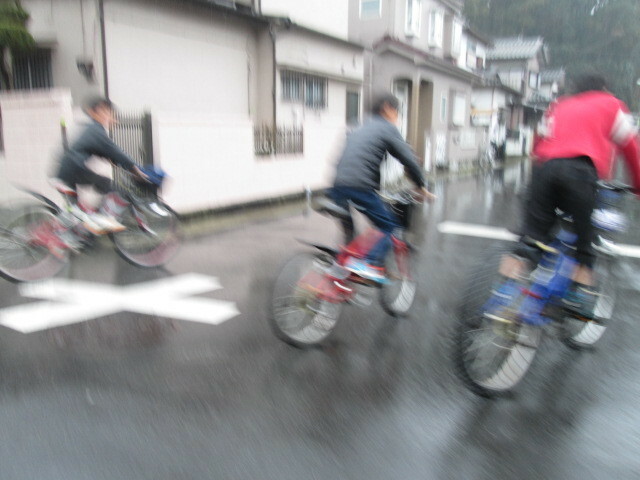 The road surface is wet and there is a hairpin curve. Motorcycles and cars also pass occasionally. "Because, even I can not stop it"
Still the boy keeps going down the slope for dexterity. Everyone seems to have adapted to the extreme environment.